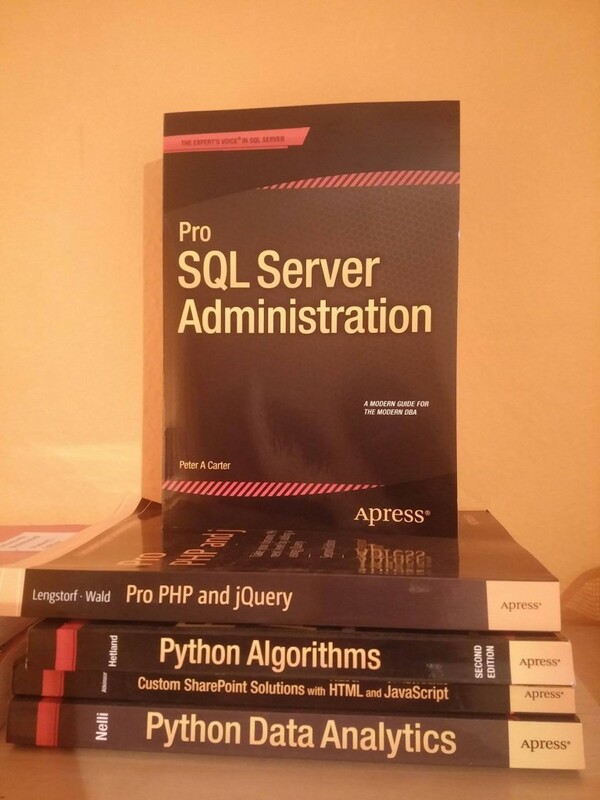 After some months, the time for the book review of “Pro SQL Server Administration” has come. I have always wanted to have a good, big Bible-like book for SQL Server (it’s a weird dream), and finally I have obtained one for a review. The Pro SQL Server Administration has not disappointed me – it was one of the reasons I have obtained the MCP certificate in SQL Queries (461). Although I have mainly studied from other places, the book also deserves some credit for it. Let’s start with the review – the book is 1004 pages, and it covers plenty of different well selected subjects. I have read part IV of the book – these are the chapters between 17 and 24, because I have considered those helpful for broader understanding of SQL Server and my MCP exam. Thus, these chapters would be reviewed. Chapter 18, Locking and Blocking has really helped me to understand these two terms (which are important part of the 461 exam). Extended Events (Chapter 19) and Triggers (Chapter 24) were helpful as well. What I liked from the book, was that in each chapter, there was a good mixture from SQL and picture material. The explanations were well written and understandable. The book would sit on my desk as a reference, hopefully for the next 2-3 years. Due to the fact, that I have obtained what I wanted from the book, and I have achieved my targets, I am giving it 5 stars! If you liked my review, you may rank it Amazon.com here.